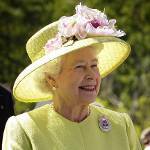 The Queen's Official Birthday is celebrated as a public holiday in some Commonwealth realms and British overseas territories that have Queen Elizabeth II as the reigning constitutional monarch. In most overseas territories, it is observed on the third Monday in June. Queen Elizabeth II was born on April 21, but her official birthday is typically celebrated in June, the date varies as adopted by each state or territory. The birthday of the incumbent monarch has been celebrated in the UK since 1748. Originally, it was observed on the actual day of the monarch's birth. The ceremony was moved to June by King Edward VII who was born on November 9. He did so in the hope of good weather. The Queen's Official Birthday in the UK is celebrated on the first, second, or third Saturday in June. However, most Commonwealth realms and British overseas territories have chosen other dates. For example, Anguilla, Gibraltar, Montserrat, the Caiman Islands, and the Turks and Caicos Islands celebrate the holiday on the third Monday in June. Celebration of the Queen's Birthday in British overseas territories often coincides with celebration in the Norfolk Island, where the holiday is observed on the Monday after the second Saturday in June. It should be noted that the Norfolk Island is part of the Commonwealth of Australia and not an overseas territory.